What is it about the USA that inspires filmmakers who aren't native to the States to make dramas that aren't just set there, but about the place? Lars von Trier likes doing this sort of thing, and he's the most obvious example, but he's only one of many. I always feel there's sort of an arrogance to it, a sense that the filmmaker thinks they can tell the Americans about themselves. I mean, it's not that these films are even necessarily wrong, but it's never really what you say, it's how you say it, and who's saying it. 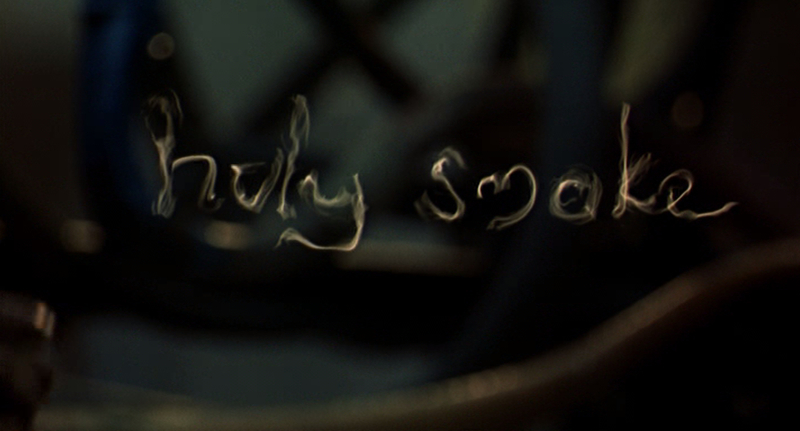 For example, Philip Ridley. In the space of 20 years, British artist, playwright and novelist Ridley made only three films. Of the three, only the most recent, 2010's Heartless (an incoherent mess of a film that I'll be writing about some time soon) wasn't set in rural America. I've written about 1995's The Passion of Darkly Noon before, and I took note of how foreign it feels, how it presents the lonely wood as a sort of fairytale realm. 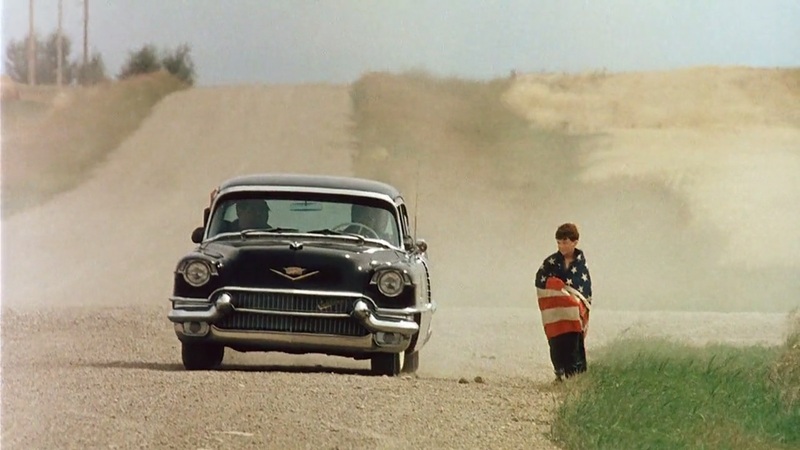 Its 1990 predecessor, The Reflecting Skin, (made in Canada with British money) is if anything at all even more detached. Like Ridley's other films, performance and dialogue is theatrical, a bit operatic. No room for subtlety here: we're in a realm where allegory rules. While I was running the Kickstarter for the We Don't Go Back book, I got support from several unexpected quarters. 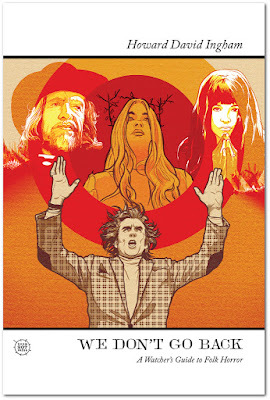 Shortly before it funded, Cigarette Burns Cinema (who were responsible for this spring's Into the Woods season at the Barbican, London) caught wind of what I was doing, and said they'd get me a boost, if I said I was going to look at Eyes of Fire, because it was essential to any folk horror survey. 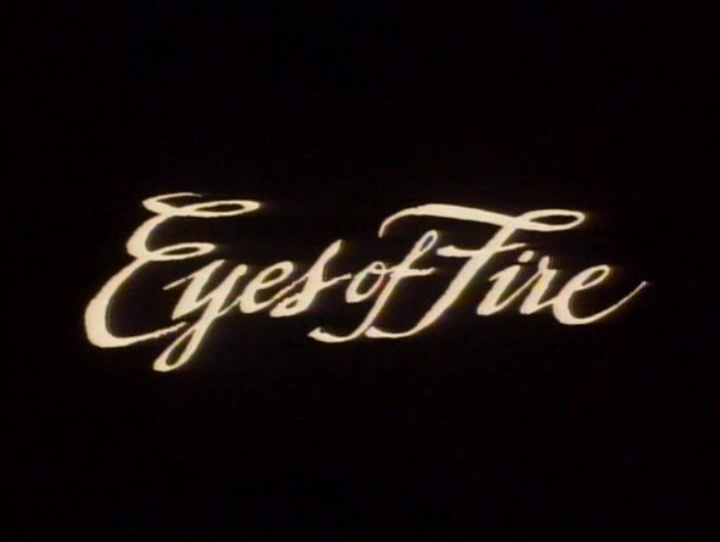 I'd heard of Eyes of Fire, but I'd found it impossible to source legally. I said, sure, I'll write about it, and the nice people at Cigarette Burns with their sizeable twitter reach were basically responsible for the book funding the next hour. Which was nice. And I am still grateful for that. That left the problem of sourcing a copy. Now obviously, if I had a 35mm projector, I could have a lend of their copy, but... yeah. A search of various outlets proved fruitless, so... so it was on YouTube. I have a weird relationship with YouTube, but basically it boils down to this: if there isn't any legally obtainable copy of a film, then I am all right with finding it on YouTube. If it's obtainable on some form where it can be purchased, I'll buy it (and that's what my Patreon money goes to: money to buy films to write about, and if you want to stick a quid in, please feel free), but while I suppose the strictly legal stand would be not to watch it, I don't think I'm doing any harm to anyone's pocket as it is. The moment someone does a Blu-Ray or DVD release, I promise I'm on it. Pinkie promise. Anyway, that's why the screenshots aren't of the usual quality. How do you discover movies? When I was a teenager, in the days of VHS, it was generally through the TV listings, and for a while through the Friday film reviews in The Guardian, which my dad didn't buy (he bought The Daily Mail, for the racing form, although he read it long after he'd given up the horses). But I had a paper round, see, and I used to read the papers I delivered, and anyway that's a digression. In the last few years that's all changed precipitously fast. What in the name of anything is that, I thought. I started to dig. That image led me to a soundtrack album and that finally led me to a single copy available on eBay, a second hand Region 1 import. 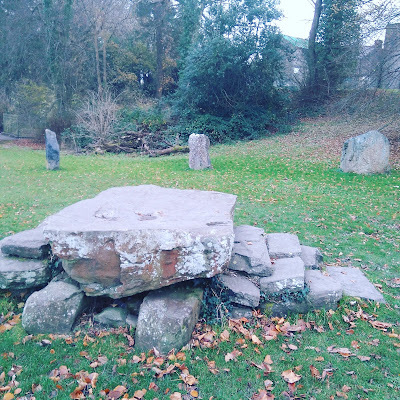 So I've been doing this project for nearly a year now, and with spin-offs and digressions I've now written 84 posts, which is crazy, but as I've said a couple of times before, there were a few early posts that needed, especially as this is going to be a book now, some revision, films that deserved a fairer shake than I'd given them before. And I'll be honest, this is the one I haven't really been looking forward to. 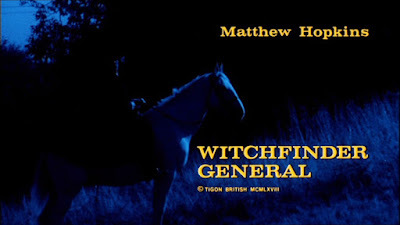 Just as when I started this project and my mate Ian Moore said, "You realise you're going to have to do Witchfinder General," and I sighed inwardly when I realised he was right, and I wrote a post where I literally just got the thing out of the way so I could write about films I actually, you know, liked, even now I approached Witchfinder General as if facing a chore, and that's essentially the opposite of what my year long Halloween movie marathon was ever supposed to be. In the end, it got put on this morning because I only had a window of a couple hours between all the other stuff I was doing, and, well, it's pretty short. A weird thing happened, though. I suddenly found myself thinking, wait, this is much better than I thought. Look, I can number these posts any way I want, OK? OK. So you may remember I wrote about Jordan Peele's Get Out before, while it was still in cinemas, without spoiling much. That other post, which is as close to a review as I get, is really the first half of the essay that'll appear in the book, and that's the part of it you can read without ruining it for you if you haven't seen it. Go read it first. I'll still be here when you get back. Today, I'm going to be giving away the twists and surprises of Get Out from the, ah, Get Go. So if you haven't seen this film (you should, because it's great), and want to see it and not have it wrecked, stop reading now. 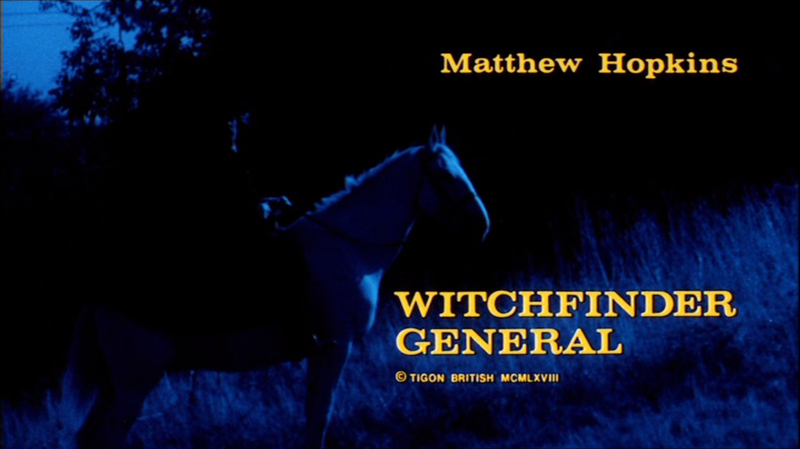 But if you do, you'll know why I'm writing about this in a series about folk horror. Decisions! This isn't going to be a very long post. When it ends up in the Cult Cinema book, it'll be folded into the same chapter as Ticket to Heaven and Faults as deprogrammer movies. It's the first Belgian film I've really registered having seen. I'm not proud of that, although looking up significant Belgian movies, I found Calvaire (2004) which I reckon I really have to cover in this project sometime. My DVD copy is a Belgian import. I don't think it has a UK release. 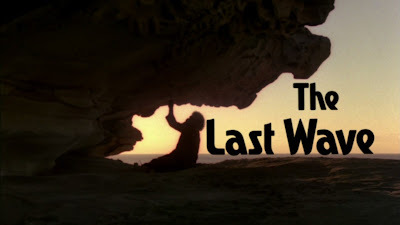 It was directed by Peter Brosens and Jessica Woodworth, who are apparently better known as documentary filmmakers. It stars Aurélia Poirier (Alice), Django Schrevens (Thomas), Sam Louwyck (Pol) and Gill Vancompernolle (Octave). The children and the outsider get the top billing, which is unusual and significant with respect to how you have to look at the film. What is up with the ostriches? No, seriously, no clue. Why the ostriches? Fred the Chicken was one of my favourite characters. I was rooting for Fred. So the official plan now is to write five posts a week until the book essays are done, and at least one of those every week is going to be a We Don't Go Back post, cleaning up the stragglers, as it were. I have a stack of movies to watch, old and new, and I'm resisting the urge to add new ones to the book list, if only because it'll never be done. Perceptive backers will have noticed that Under the Shadow moved from the We Don't Go Back list to the On a Thousand Walls list, but frankly, now I've seen it that's the only place to put it. .
For now, here's a look at The Last Wave. In 1997 David Cronenberg appeared on an episode of the BBC series Forbidden. He talked about Shivers, Crash (then new) and Videodrome. Cronenberg is a softly spoken, thoughtful sort of guy in front of the camera, considered, precise and very literate. On Videodrome particularly, he stressed his commitment to realism. It occurs to me, watching Hollywood films in particular, that characters in the films take various stances, just as a plot point, that they are very moral or ethical, or someone is, or someone isn't, and it's really meant to make the narrative work, but that there is in fact no one making the film who really believes or really cares about what these characters care about. It's just another filmmaking device. I wanted to be more realistic than that on Videodrome, and not have any characters who very righteously make speeches about morals and ethics. And this flies in the face of some of the lazier readings of Cronenberg's 1983 masterpiece. 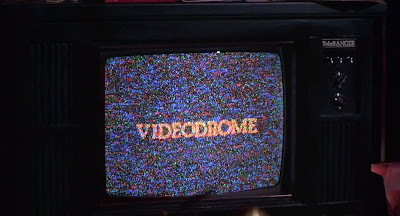 It's easy to look at Videodrome and see something surreal, stream of consciousness, where people behave according to no explicable schema. Or as something reality bending, a case of it-was-all-a-hallucination-OR-WAS-IT. 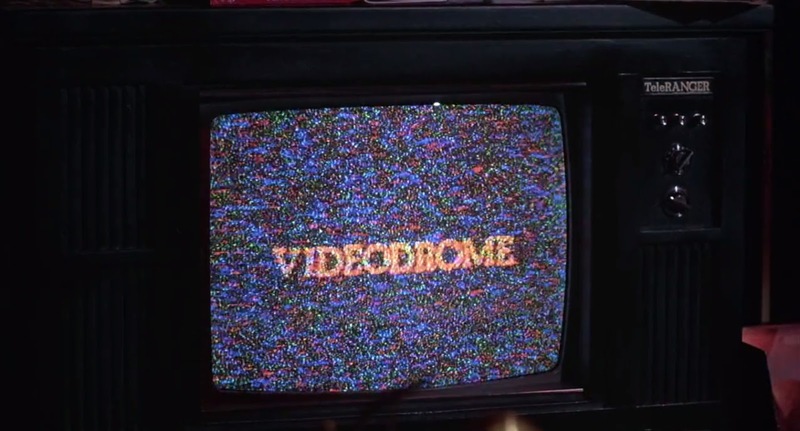 But that's not it at all: Videodrome is, by intent, a realistic film. I remember a friend at university telling me how much she loved Iranian films, that Iranian films were all beautiful, and I suppose I've internalised that a bit, so that if someone mentions an Iranian film, I immediately think as a sort of reflex action, oh, that's a good movie, right? In fact, it's generally part of the thing with foreign language films, in that foreign language movies are often better, yes, but that's generally because we don't see the crappy ones so much, because distributors tend not to bother to distribute them in English language markets. There are plenty of crappy films made in languages that aren't English, but we don't see quite so many of them.